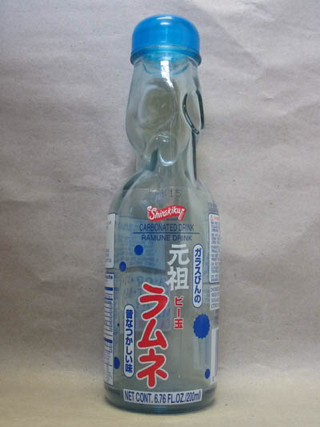 I don't know how my son found out about it but he recently went crazy over this Japanese carbonated soft drink called Ramune. 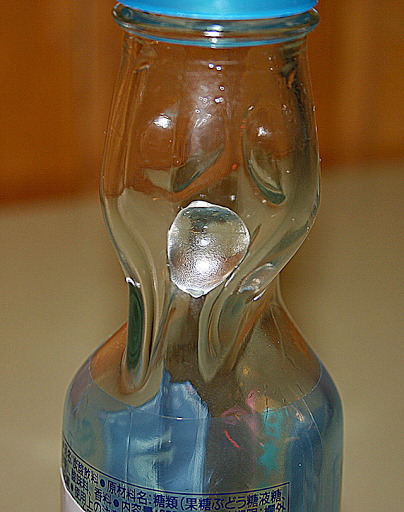 Ramune is derived from the English word lemonade transliterated into Japanese. 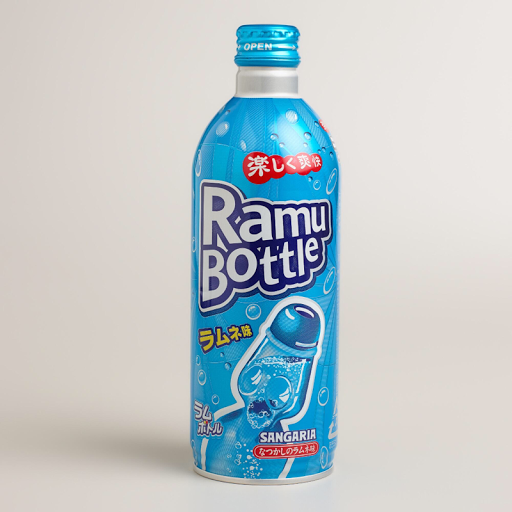 We first found it in Atria shopping mall, the Ramu bottle. And of course he got me to buy him several. And when he found them in the Codd-neck bottles, he went even crazier. I could not leave De Market without a couple of bottles at least. 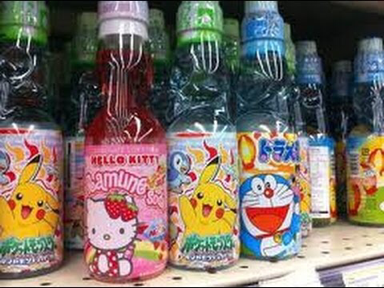 What the mommy like though is the Doraemon one!